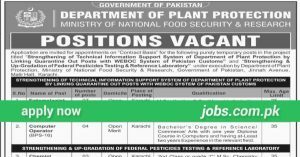 Find latest Pharmaceutical Jobs in Pakistan with great jobs & career opportunities in private, national and multinational companies. Get access to premium jobs in Pharmaceutical industry with career opportunities from research and development and business technology to marketing and pharmaceutical sales. Use the search filter below to search for Pharmaceutical jobs by qualification, skills, education or job title in major Pakistani cities. 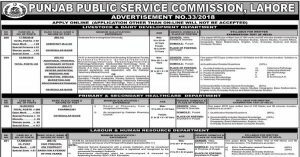 Punjab Public Service Commission (PPSC) Jobs (6/2018) 2018: PPSC is inviting applications from eligible candidates for 68+ Assistants, Inspectors, Chemist and Deputy Directors Posts in Multiple Departments of Punjab Government…. 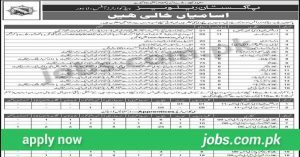 LR Distributions Rawalpindi WESTRIDGE office: Booking and Supply Staff for PHARMACEUTICAL products. Yes we are looking for YOU, if you are young energetic, honest, hard working for Pharmaceutical OTC products sale….